In today's episode, Pete goes off big time on a couple of state legislators in Alexandria Ocasio-Cortez and Andrew Cuomo! He breaks down Ocasio-Cortez's ridiculous rant on the Rachel Maddow Show in response to the President's national address about Border Wall funding, and how despite saying she and her fellow congresspeople should forego their paychecks until the government shutdown ends, she won't admit that she's already taken her first paycheck since being sworn into office. As for King Cuomo, Pete breaks down his willingness to codify Roe v Wade into the New York State Constitution, and how the state siphons millions of taxpayer dollars from its emergency fund according to the FCC. Throw in some fun about why it should be up to the Islanders who they hire to do construction on their new stadium, and it's just another fun day in New York! Help us defeat Schumer, Cuomo, and other establishment phonies in 2020! 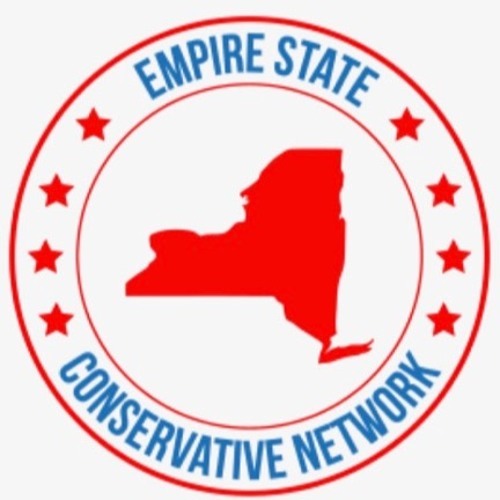 Consider donating to us by going to yhttps://www.empirestateconservativenetwork.com/donate, or buy some sweet merch on our website at https://www.empirestateconservativenetwork.com/store. Download ESC Ep 21: Let's Drain the New York Swamp! Users who like ESC Ep 21: Let's Drain the New York Swamp! Users who reposted ESC Ep 21: Let's Drain the New York Swamp! Playlists containing ESC Ep 21: Let's Drain the New York Swamp! More tracks like ESC Ep 21: Let's Drain the New York Swamp!